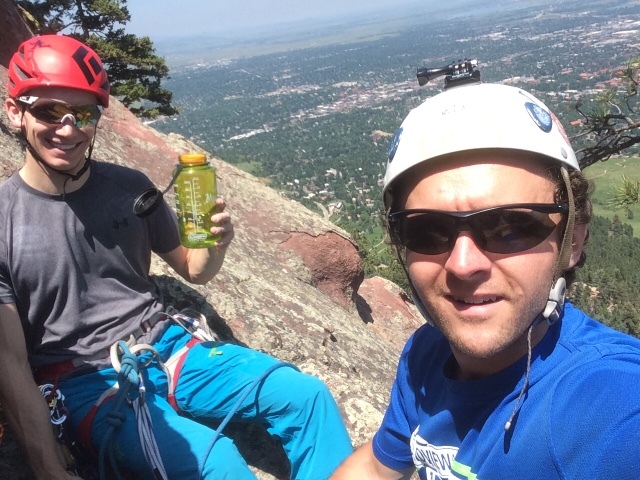 As a training climb after too little sleep and bad coffee, we did the north gully on the east face of the first flatiron. Good day. I could say more... But I might as well save something to say in person.